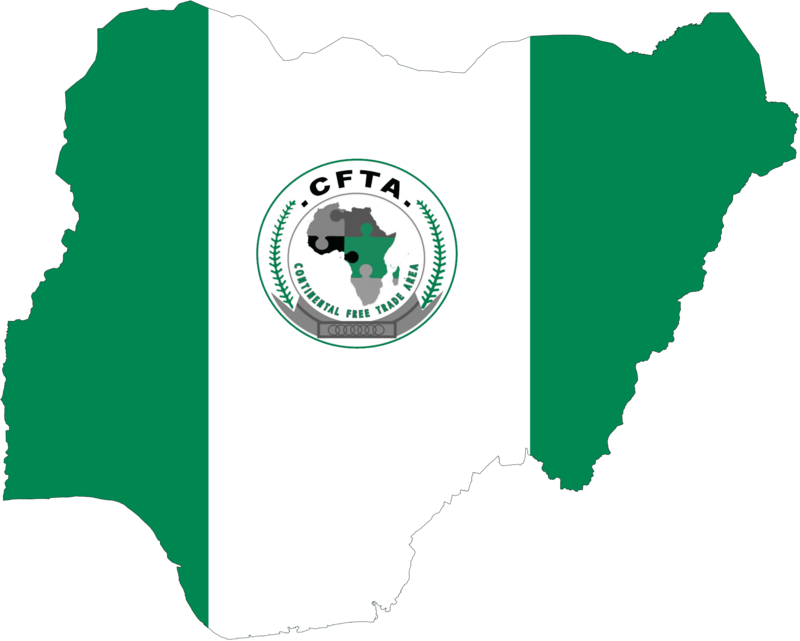 However, despite the expected benefits from AfCFTA, nine other African countries, including Nigeria and South Africa have delayed assent to the treaty. In Nigeria, various concerns have been raised which includes the exposure of the already struggling local manufacturing sector to undue competition. According to the Manufacturers Association of Nigeria (MAN), the agreement will lead to job losses and increase unemployment. In addition, due to the poor export capacity in the non-oil sector and low industry capacity, stakeholders suggest that there is a need to review trade agreements and policies at this time at because most of the developed countries grew by closing down their borders for a while. A brief discussion of some major factors that affect the scale of free trade effects is provided below. Size of the Market: Enlarging a trade bloc increases the size of the market, to which all countries have easy access; this also implies that the importance of the size of the domestic market of individual decreases, which favors the small countries. Let’s take the three key players in this debate; consumers, producers, and exporters. Consumers in smaller countries would always gain from mutual trade liberalization because they would not only have access to cheaper goods and products of high quality, but also to more variety. Exporters in the smaller countries would also benefit from the trade liberalization, as they gain access to larger markets and more competitive inputs. This means that with cheap labor in smaller countries, lowering import restrictions allows farmers, builders, and factory owners to access production inputs and resources, therefore increasing their production capacity. Producers in the smaller country present a mixed picture, with the more productive ones gaining and the less efficient losing. When foreign competition increases, it exerts pressure on producers to become more efficient and increase productivity. Firms unable to improve productivity could be pushed out of the market. However, this can be counterbalanced by other firms that benefit through availability of better and cheaper inputs, which helps them become more competitive both at home and abroad. Supply-Side Constraints: Supply-side constraints include not only government policies but also the country’s physical and institutional infrastructure, its human resources and all the other elements determining the short-term flexibility of an economy. The extent to which countries can benefit from improved market access depends on their ability to supply goods and services to export markets and to compete effectively. The weak capacity of participating countries to shift resources into the production of goods and services for which the free trade area (FTA) created new demand could lead to adverse effect on the economy. The lack of an enabling environment in participating countries creates difficulties in withstanding competition, makes them vulnerable to price variations and to collusive behavior of larger firms and price setting. In addition, they are in a weaker position to search for information, enforce contracts and property rights and to protect themselves from protectionist tendencies. This implies that market access by itself is not sufficient to promote growth in countries facing supply side constraints. In such cases, market access has to be complemented by measures to relax supply-side constraints Therefore, it is important for all parties’ economies to be well-informed and able to respond to new opportunities that come with FTA. Unless a free trade agreement has indirect supply-increasing effects (such as might flow from greater investment), binding constraints to an increase in trade may remain in the form of limits to how far and how quickly a partner can increase production. Tariff Provision: The extent to which an FTA actually changes tariff policy is an important factor that could influence the effect of free trade. Existing literature suggest that smaller, deferred tariff cuts will reduce the trade effect directly, and that the smaller the tariff cut the less likely it is that firms will bother with any additional red tape required to access FTA provisions. Therefore, extent to which an FTA will result in effective policy change (and hence produce a significant impact) depends partly on the relative importance of the tariff barriers that it cuts and the non-tariff barriers that are outside its scope. In conclusion, analyzing the conditions for benefiting from a free trade agreement allows governments to display stronger leadership and readiness for the transition process. For key sectors where there are concerns about large job displacements, the liberalization process can be gradually phased in over a credible and finite time frame. On the other hand, to take full advantage of market access (and also better withstand enhanced import competition), policies to enhance competitiveness can be implemented as priority. Policy makers can use their political capital to take bolder steps that deepen mutual economic cooperation and help accelerate shared prosperity. Lastly, the smaller the tariff cut within an FTA the less likely it is that firms will find it commercially worthwhile to tackle non-tariff barriers.